Timeliness, effectiveness and safety are critical for acute care.1,2 Keeping this fact in mind, Siemens Healthineers Point of Care Diagnostics has designed the Stratus CS Acute Care Diagnostic System to best meet the requirements of the near-patient settings. 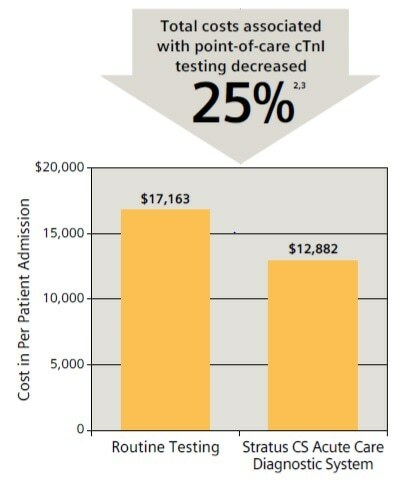 This solution is the ideal fit for near-patient testing. Intelligent design ensures ease of use and gold-standard quality results. It delivers the needed biomarkers to cover the spectrum of acute cardiac care. 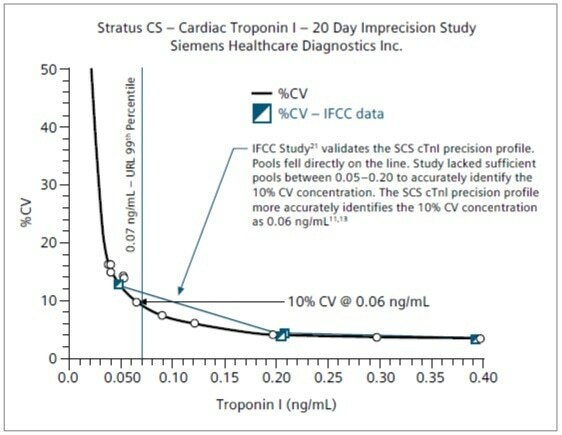 The Stratus CS Acute Care cTnI assay has been shown to agree well with the Siemens central laboratory platforms (the Dimension Vista® Intelligent Lab System, Xpand® Plus integrated chemistry systems, and Dimension® RxL Max®) across the measurement range. Siemens supplies the only point-of-care/central-lab pair of instruments that show real cTnI harmony,6,11,12 making the Stratus CS Acute Care Diagnostic System a perfect backup solution in satellite sites and central laboratories. Additional assays available on the Stratus CS Analyzer. 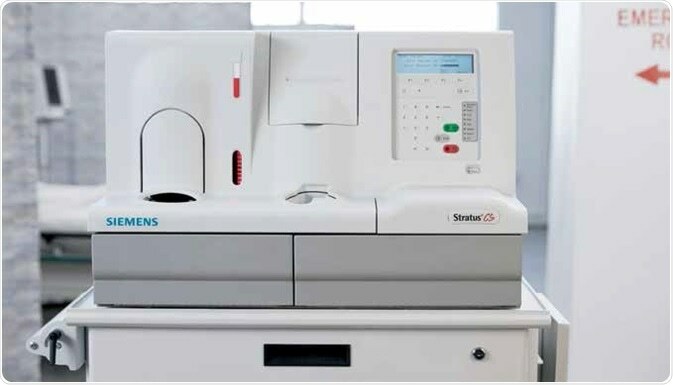 The Stratus CS Acute Care Diagnostic System’s panel of robust and comprehensive cardiac markers delivers reliable answers to important questions. Please refer to the assay insert sheets or operator’s guide for more detailed information. Sodium heparin or lithium heparin for all methods except D-dimer. D-dimer needs lithium heparin or sodium citrate whole blood or plasma. 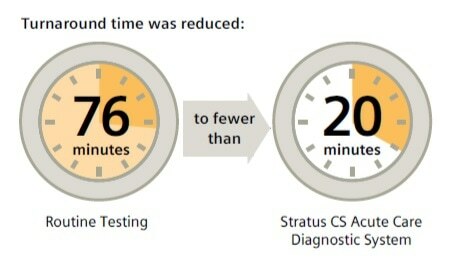 Stratus CS cTnI TestPak (product insert). Reber G, et al. Blood Coagul and Fibrinolysis, 15(5),2004. 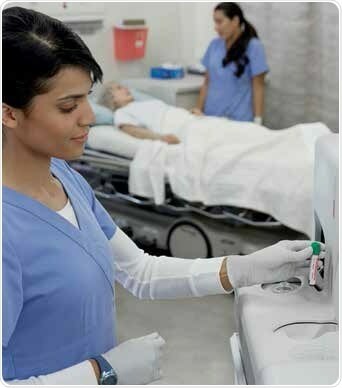 Point-of-care solutions are designed to provide immediate, convenient, and easy-to-use diagnostic testing. From the ED to the physician’s office, clinical management decisions can be made immediately and result in improved patient safety, clinical outcomes, and overall patient satisfaction.